Continuing the trend we first noticed forming at the end of 2016, asking rents for apartments in San Francisco and Oakland ended the year lower than at the start of 2017. 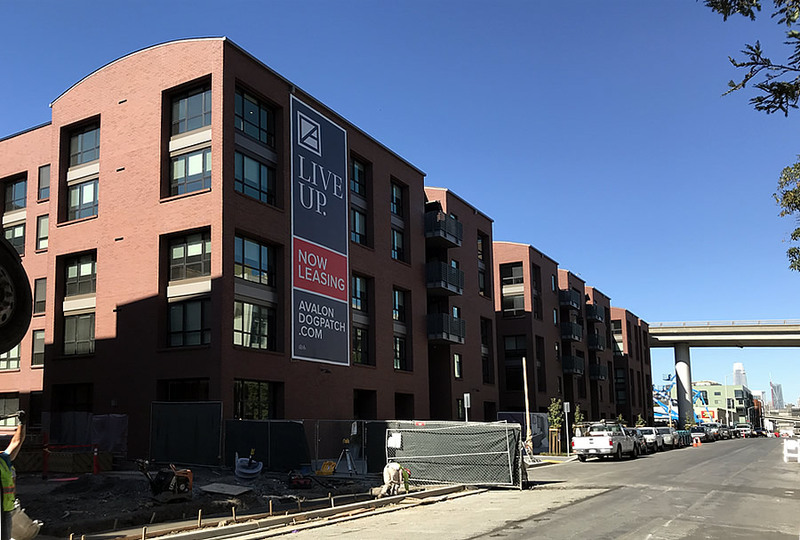 In fact, based on a comparison of nearly 2,400 listings, the weighted average asking rent for an apartment in San Francisco, including one-off rentals as well as units in larger developments such as Avalon’s new complex in Dogpatch, is currently running around $4,000 a month, which is around 4 percent lower versus the same time last year and roughly 10 percent below a peak in the fourth quarter of 2015. And the average asking rent for a one-bedroom apartment in San Francisco is currently running around $3,400 a month having crossed the $3,600 mark in 2015. At the same time, the weighted average asking rent for an apartment in Oakland is currently running around $2,500 a month which is 3 percent lower versus the same time last year and around 15 percent lover versus the summer of 2016 with the average asking rent for a one-bedroom current running around $2,200 a month (which is roughly 40 percent cheaper than in San Francisco). With +6k new units under construction, Oakland rents should fall or remain flat over the next 2 years. This should also keep the rents in SF from rising further. It’s a pity the 2nd Transbay BART tunnel is not yet under construction, as this could decrease SF rents further. An interesting development to keep an eye on in 2018: SFH and SF rents have been moving in opposite directions over the past 2 years. Will (and can) this trend continue? A second BART tube isn’t just ‘not yet under construction’. It’s unplanned, unfunded. Construction is decades away, if ever. And unwanted? I think the steel for the shell is coming from the same mill as the I-beams for Oakland’s first 1000′ skyscraper. They said that about the 4th bore in the CaldecottTunnel and it got built pretty fast. I remember hearing “They don’t do projects like that anymore” just before it got underway. It was approved in 2007 and completed in 2013 (including a stall due the 2008 crash). It may have been approved in 2007, but it was needed – and being called for – decades before that; and of course there was a pre-exisitng network of 4-lane roadways that it could feed into, and it’s ~4000′ versus 4 miles for BART, so a few hundred million$ vs. billion$, and…shall i go on ?? Yep. The planning for the fourth bore started in 2000. The bond issue was passed in 2004. It took a lot longer than 6 years – and that’s with the start and end points fixed. In contrast – there is no consensus on exactly where a 2nd BART tube will run. If the HSR – DTX mess has taught us anything – it will take SF at least a decade to agree on a new email tunnel route. We don’t need to send more of the 2.7 million residents in the East Bay across the Bay to San Francisco. We need to keep these people on the Oakland side of the Bay in order to relieve the regional congestion caused by cross Bay commuting. No new Bridge or BART tube would be needed if more office buildings and apartments were built in Oakland. We should build in San Francisco AND in Oakland AND build a new BART tunnel. These are not mutually exclusive. Exactly. Building more peak capacity into a tiny area of SF is really not the best idea. The cheapest thing we can do as a region is land jobs in San Jose, which already has a million people but a daytime population approaching zero. Building and keeping people in the East Bay is obviously not that easy. People change jobs every few years, so when you buy real estate, you want to be able to accept future jobs in all parts of the Bay. Further, most families with two working parents have jobs at different parts of the Bay Area. Therefore, you want a 2nd Transbay Tube to facilitate the lives of families where one parent works in the City and the other in the East Bay etc. Since there is no economic slowdown yet I doubt we will see much rent downside. As prices soften there is a lot of pent up demand to “trade up” as previously desperate renters ditch their roommates or move to a better neighborhood. Memories! I remember way back when there were predictions of the impending collapse or bubble bursting or whatever. Don’t worry, those predictions will come back around. We did in fact see a lot of weakness late 2015-16 until Trump hopium gave us a second wind. Since then we’ve been in a “goldilocks” economy of not too hot and not too cold, but we have backed ourselves into a corner with rates being so low for so long, so as we heat up the rising rates will cause all sorts of problems. In terms of housing, the rising rates may cause a widespread return of “creative” financing and we could very well see another leg up in the bubble. There’s a whole new crop of millennial suckers that didn’t live through the last bubble and are ready to repeat the mistakes. Those who do remember, also figure that the taxpayers will bail them out again, so might as well join the fun. Let me know when everyone stops using Google, Apple and Facebook. Then we’ll be in real trouble. People didn’t stop using Google, Apple and Facebook during 2009-2011, that didn’t stop us from having a large pullback in home prices. Those companies were much smaller then. Facebook didn’t IPO until 2012. Today it is worth $535 billion. Google has added $600 billion in market cap since then. …..which demonstrates the benefits of increasing supply. As long as the new supply outpaces demand, that’s correct. Otherwise, the new supply is simply absorbed. Even if new supply doesn’t outpace demand, it still limits the rate of price increase. Prices will always rise higher with no new supply than with some new supply. That’s true. But this isn’t a matter of a reduction in the rate of an increase but rather an actual decline. Oakland is willing and able to build out it’s downtown with residential units. This has the potential to alleviate price pressures for SF renters (hello YIMBYs! ), lower pressures to build more housing in SF (hello NIMBYs!) and provide housing supply for a growing workforce (hello tech companies!). To make that happen, we need a second Transbay tube. While the sticker price will be quite high, SF peeps will save lots in rents, maintain it’s city’s character and economic dynamism. Or “we” could build that housing in DO, ALONG w/ the millions of s.f. of office space, some are trying to force into SOMA, providing a walk-to-work experience for some, and a “we-don’t-need-a-second-BART-tube” commute for the rest, whose trains will unload in terra orientale. But you probably won’t hear “city” politicians making that argument, since saving “peeps” money isn’t something they’re really interested in….not unless they can claim credit for it. Bingo!! The only solution given that another BART tube won’t be built, if ever, for decades is either shift most future office development to Oakland and, even better, couple that with massive new residential development in Oakland. Speaking of a second tube, if HSR comes up the east side of the Bay, as looks increasingly likely, it might save enough money to build another BART tube. i think hes suggesting building more housing in SF as opossed to moving office construction to oakland. SF has a ton of room to grow and is much closer to downtown core. the central SOMA plan is a shoo-in. we need to start focusing on western soma as well, which is just next door and has a 5 floor limit. thats needs to be bumped up to 15, and the next stage is to build Geary BART and upzone geary. those are all priority over a 2nd transbay tube IMHO. Don’t get me wrong, I’m all in for a second BART tune for many reasons. I wish it wasn’t decades away, but it is. I’m all in for building more in Oakland AND SF, but the next 2-10 years are more likely to bring large scale residential developments in the East Bay than in SF. I see it as a great opportunity to bring more dynamism and wealth to Oakland while keeping all the different SF consituencies happy. In order for this to happen, we need to really improve the Transbay transit. This includes a 2nd tune, but also more ferries and the renovation of the West part of the Bay Bridge. It’s surprising to me that this is not a no-brainer for SF and Oakland politicians. Keep in mind that the pipeline of development includes more units in San Francisco than in Oakland, not only in terms of the number of units which are currently under construction but also those which have been approved or are in the works. Bingo, wrt building more housing. There is plenty in the SF pipeline already. Clearly there is a housing jobs imbalance in the East Bay. We have 2.7 million residents living in the East Bay compared to 870,000 living in SF while the vast majority of office construction has been in San Francisco. This is the real reason for the unbearable congestion and long commutes in the Bay Area. Here is how I think about this: Given the increase of SF residents of 8k-12k per year, we need a supply of 5k new housing units per year in the city just to keep up with the rising demand. Over the past 2-3 years, the city was able to deliver 5k new units per year. This is about the time frame when rent prices stabilized. During this time, Oakland construction was still minimal (I don’t have the exact figure in mind). Over the next 2-3 years, the city will probably deliver 5k new units per year at the absolute maximum. This is where the new construction in Oakland makes a huge difference. If Oakland and the city can produce 5k new units a year each, we could see a more significant drop in rents. I won’t hold my breath that this happens, but in my opinion, Oakland’s housing supply very much holds the keys to future rent price dynamics in SF. Rents in “apartments” are seen as under declining pressure. Supply and demand and makes total sense. Both by specific location as well as broader 20 mile radius that would pull in downtown Oakland, perhaps all the new apartment construction in downtown Berkeley, the new apartment construction in southern areas around BART (Colma, DC, South SF, etc). However Single Family Homes is quite a different animal. Realtor and landlord here. You have a different category of buyers and renters for a SFH. Buyers tend to be families or couples planning to start a family. **tend** . Renters. In SF you get a lot of roommate type situations. In my Richmond/San Pablo SFH rentals I get lots of interest from families. Then consider two dynamics. 1. Millennials getting older and forming families more and more. Demand stable to increasing. 2. A fundamentally limited supply of traditional first time buyer homes for said people to either buy or rent. Say supply of under $700,000 homes within a 25 mile radius of downtown SF. There is no new construction of the entry level SFH really anywhere close to SF. So yes I do believe there will be a different supply and demand consideration for multi family rentals and owner oriented condos vs. the supply and demand situation for Bay Area “entry level” homes either for sale or rent. Having reached more or less the maximum extent of SFH subdivisions likely to ever happen within the general reasonable commute-shed of the three biggest metropolitan job centers in CA (eg SF-Oak-SJ, LA, SD), the only trajectory that is likely or possible is of densification, or at least building denser attached housing prototypes rather than free standing SFHs on their own lots. In the core of the Bay Area, including SF, Oakland, Berkeley and others, the existing stock of SFH is not just static and unexpandable, it is and will continue to modestly but steadily decline. I’m not talking about tearing down the occasional SFH to build a multi-unit building (which does happen, though not often), but rather the steady addition of in-law units to SFH properties, which is being facilitated and happening at an increasing clip. 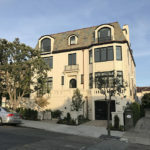 So the traditional SFH lot in the core Bay will become rarer over time as these properties become defacto multi-unit properties, and more prospective homeowners seeking a SFH-like property are going to have to become comfortable being landlords. Those are just the facts. The freestanding SFH of the 19th-20th century is a prototype that is not infinitely expandable. If we haven’t reached Peak SFH yet in CA, we will soon. Some homes can’t be converted into multiple dwellings, so they prices just stay high and are unattainable, and condos look a lot more attractive for younger buyers.. driving condos ups in price. Meh – whatevs. Down a couple percent here or there. Possible to get that back quite quickly in a year. Seems like a lot of office projects are still in the works and we’ve seen a greater number of small/mid-size residential projects put up for sale rather than pushed through to construction. I have heard more of my early 40’s peers getting pushed out of long-cherished rent-controlled places than who have ‘scored’ low rental deals (no one I know). Still much rather be a provider of rental housing than a buyer. The rents may be down in Oakland, but that won’t be the case when the 4700 units of housing currently under construction come on line. Oakland’s average rents will go much higher since current prices are mostly based on old inventory which generates less rent. SF has a much higher percentage of newer units in its apartment inventory. Even though it is contrary to supply / demand theory – I think you may be right. Oakland has a fair number of old crappy substandard units that people only rent currently because no better housing is available. I.e. the units are marginally better than being homeless. When new units become available – even if they are more expensive – people will move. Some of the bottom fishing not-even-close to code compliant slumlords will get squeezed out. I.e. all the Ghost Ship type uses the City and mortgage holders turn a blind eye on. No one wants to pay real money for the rat infested east Oakland crack house. And they won’t have to if given a better – abet more expensive choice. That’s not contrary to supply and demand but rather a prime example of how a change in mix can obfuscate an underlying trend (not to mention how development can actually raise the cost of housing despite increasing its supply). I think E. Gonsalves is correct as well, regarding Oakland’s older inventory. I think your “rat infested East Oakland crack house” remark in uncalled for and inaccurate. While a good chunk of Oakland’s uptown, downtown and north side are largely gentrified, there has been a great deal of gentrification in East Oakland as well. But most of that part of town, which is quite large, is not filled with rat infested crack houses. Most of the blight is from about the 50’s avenues down to about 97th avenue along International Blvd. Also between this area and San Leandro Blvd. But the Fruitvale and the foothills between Bancroft and MacArthur aren’t horrible. Most of this area is nice to exquisite. Don’t forget the Laurel and Dimond districts are part of East Oakland. The San Antonio and the Hawthorne neighborhoods are no worse than SF’s Mission, even better I believe. Are there no overpriced rat infested crack houses in the Mission or Tenderloin? My point is that Oakland doesn’t deserve the constant bashing during every discussion on SocketSite. Stick to the point made here that Oakland’s inventory may go much higher because the quality will be much better. Example; 100 Grand Ave rent is between 2,900-4,000; condos at the Ellington are renting for 3,200. This is for newer inventory, older inventory is why the average is only 2,200 currently. My daughter lives in a beautiful 1920’s apt. bldg. on Alice and pays 2,200. 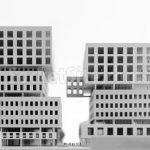 Once the several thousand units currently under construction come online, it seems an upward trend will be inevitable. Hopefully the older units will become more affordable when the future units become available. Unless the Bay Area continues to boom and the new units just get swallowed up as fast as they’re built. Half of me hopes so…the other doesn’t, for locals sake. You are absolutely right. There are many nice neighborhoods in East Oakland with very good housing stock. Your point regarding higher rents in new construction downtown/Uptown is also on point. This is why the phony argument that rents in Oakland were not high enough for highrise development was always a dishonest argument. There are highrises around Lake Merritt and Uptown generating $3200 per month for 1bd units and over $4,000 for 2bd room units. This has been the case for sometime even as the disingenuous anti-highrise argument has been propagated. I’d say those uptown rent #’s are on life support. Lookit, building rentals doesn’t even pencil out for most institutional investors in SF. So it definitely won’t work for Oakland going forward. The high number of rental high rises built in SF from 2012-16 was an anomaly, only possible after the Great Recession which lead to super low interest rates coupled by insane rent increases (not to mention relatively low land acquisition and construction costs). But those times are gone.